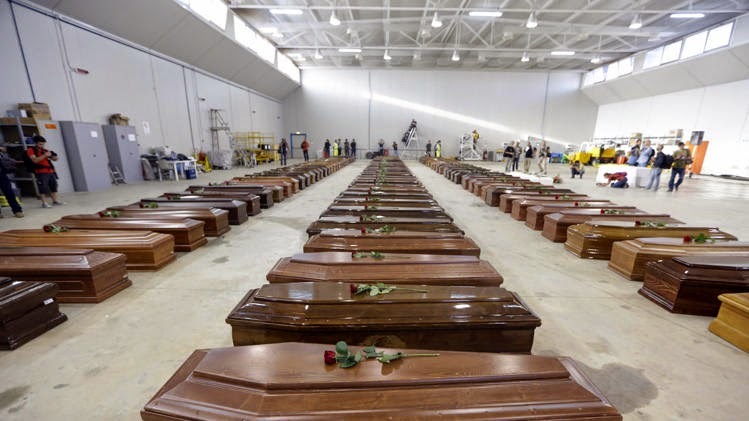 Last autumn's huge loss of lives near Lampedusa, when hundreds of migrants drowned in the Mediterranean, was one of the latest and most dramatic death tolls in the recent history of irregular crossing of that sea. It ought to have led to a complete rethink of EU policy toward border controls and visas, but did not - doubtless because of the belief that far-right parties would capitalise on the increased public concern about migration that would result. Of course, irregular migration flows are 'mixed': they consist of some people with a legitimate need for international protection, as well as some people who don't have such a need. The former group has a right to enter and stay on Member States' territory, while the latter group in principle does not - although this obviously doesn't mean that such migrants should be left to drown. While no potential solution to this dilemma is simple, or would solve all the related problems, a move towards greater external processing of asylum seekers would clearly be a step in the right direction. It would mean that at least some of those migrants with a legitimate need for international protection would be able to obtain safe passage to EU Member States' territory without having to risk crossing the Mediterranean in unsafe vessels, having had to pay unscrupulous smugglers a fortune to arrange their journey. For the last decade, the idea of external processing of asylum applications was tarnished by its association with suggestions made by Tony Blair for a new approach to asylum seekers coming to Europe. His ideas, which seemed to have been worked out on the back of an envelope, and were clearly inspired by Australia's 'Pacific solution' to refugees, envisaged external processing as the exclusive route for asylum seekers to obtain refuge in the EU. They were incompatible with human rights obligations, and entailed a degree of cooperation from third countries which either would not have been offered, or should not have been accepted if it was. This approach might have entailed agreements with Khadafy's Libya, or Putin's Russia, to host refugees and asylum seekers. If Putin were currently in a position to release many thousands of refugees who wished to make their way to the EU, the Union's reaction to his annexation of Crimea and sabre - rattling in eastern Ukraine would be even milder than it is already - if that's possible. Blair's ideas have been kicked into the long grass several times by the EU. But certainly the idea of joint external processing in principle has merit, if it has completely different premises from his suggestions. In particular, such processing should in no way prejudice applications made at the border or on the territory of Member States, and must entail the entry and stay of persons with international protection needs either on the territory of Member States, or on the territory of third countries which offer an equivalent level of protection. Nor should joint processing prejudice the resettlement of those groups of persons (such as Syrian refugees) whose need for international protection is obvious. However, the EU will need time to work out the details of joint processing, for instance how to allocate the beneficiaries of international protection between Member States. In the meantime, there is now a perfect opportunity to adopt rules on purely national external processing of asylum applications, in the form of the proposed amendments to the Schengen visa code. This is the second of four posts on this blog dealing with these proposed amendments. The first post dealt with the impact of the proposals on EU citizens’ third-country national family members, and the remaining posts will deal with the substance of the proposals as regards short-term Schengen visas and the newly proposed ‘touring visa’. The proposed amendments to the visa code retain the existing possibility for Member States to issue a short-term visa with ‘limited territorial validity’ (LTV), ie the visa is not valid in all Schengen states, but rather valid usually in only the single Schengen State which issues it. But admission to only one Member State is clearly better than facing a risk of harm outside the EU. Once the visa expires, the person concerned can be given a longer-term residence document; in fact, the EU’s qualification Directive requires that a recognised refugee or beneficiary of subsidiary protection must receive a residence permit, and the EU Directive on asylum procedures specifies that in principle asylum-seekers cannot be removed from a Member State’s territory before a decision is made on their application. The new proposal would make no substantive changes to the current rules in the visa code on LTV visas (see Article 22 of the proposal, as compared to Article 25 of the current code). However, it would be open to the European Parliament and the Council to insist that changes ought to be made. According to the current visa code, and the proposed amendments, an LTV visa ‘shall be issued…when the Member State concerned considers it necessary on humanitarian grounds, for reasons of national interest or because of international obligations’. The important point is that an LTV visa can be issued where the usual conditions for issuing a visa are not met, for instance where there is insufficient evidence of an intention to return to the country of origin. Obviously, where a person has a genuine protection need, a reluctance to return to her country of origin is perfectly understandable; indeed, it is built into the very definition of refugee or subsidiary protection status (ie a well-founded fear of suffering persecution or serious harm in that country). It should be noted that the CJEU has recently ruled in the Koushkaki judgment that in principle an ordinary Schengen visa must be issued when the applicant satisfies the criteria to obtain one, subject to a wide degree of discretion for Member States’ authorities to assess whether those criteria are satisfied. Does the same rule apply to LTV visas? At first sight, it does, due to the word ‘shall’, although that is qualified by the words ‘considers it necessary’. Arguably, at least in cases involving a potential international protection need, the EU Charter of Fundamental Rights requires that where a person applies for a visa from a (Schengen) Member State, the existence of such a need must be considered if it is alleged, and an LTV visa must be issued if such a protection need exists. The Member State’s Charter obligations would also be satisfied if it issues an LTV visa to the person concerned when the application for international protection is made, and considers the merits of the application while that person is on its territory. It can hardly be denied that EU law (and therefore the Charter) applies whenever a third-country national applies for a visa from a Schengen Member State. The substantive law applicable to the consideration of the application would be the EU’s Qualification Directive, since that Directive does not limit its geographical application. However, the EU’s legislation on asylum procedures and reception conditions only applies to applications made at the border or on the territory of Member States. But since the EU Charter applies to applications for visas made on the territories of third States, it must follow that some basic standards compliant with the Charter would apply to the procedures and reception conditions would still be applicable. There would be no need to decide which Member State is responsible for considering the application, since the EU’s Dublin rules are subject to the same geographic limitations. If this interpretation is correct, the current and proposed visa codes already include implicit rules covering those applying for international protection. However, it would be preferable to include express rules to this effect. There would be no need for elaborate provisions on this issue, since the details of such purely national forms of external processing of asylum applications do not need to be harmonised in great detail. It would be sufficient to provide that an LTV visa ‘shall be issued…when it is necessary in order to ensure the international protection of the person concerned in accordance with Directive 2011/95 [the Qualification Directive], or when the Member State concerned considers it necessary…’. This would be a modest but important step towards reducing the appalling death toll of those migrants who cross the Mediterranean in search of a new life in the European Union. With regard to the paragraph below, I was wondering whether it would be possible for you at all to clarify please which provisions of the Charter or redirect me to further relevant reading? I find this analysis fascinating but I am confused by the usual counterargument that the right of asylum is just an obligation of non-refoulment. How is this different under the Charter? Thanks for any possible clarification/help.